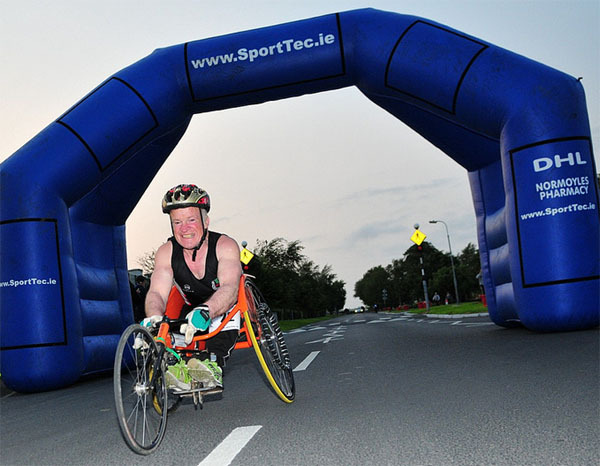 With over 400 marathons to his credit, Jerry Forde is out on his own in Irish wheelchair athletics. A familiar sight at races all over the country, Jerry has taken part in thousands of races of every distance from 5 kms to 100 miles. Starting in 1992, Jerry set out to prove what was possible as a wheelchair athlete and to push the boundaries. Currently targeting 500 marathons, he looks forward to setting new records in the future. Read about Jerry’s fascinating background in the ‘About’ section and check out all of the many marathons he has completed at home and abroad.